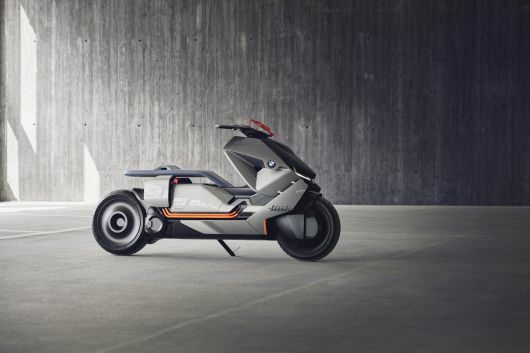 The BMW Group is presenting its vision of zero-emission urban mobility on two wheels: the BMW Motorrad Concept Link. The Audi museum mobile special exhibition entitled "More Than Red – Passione Ducati" will see around 50 Ducati models from past and present exhibited. The 2014 Bandit9 Eve is a concept but is also available for pre-orders. 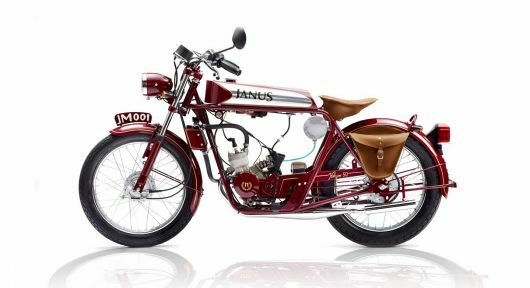 Kodewa is delighted to announce that the prototype of the world’s first motorcycle to bear the legendary Lotus marque is now road registered and ready for action. 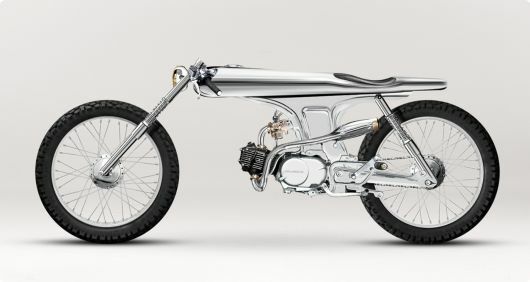 The Halcyon 50 represents the epitome of motorcycle simplicity and is equipped the essentials, like leather seat, powder coated aluminum tanks, hydraulic forks, and hand pin-striping. 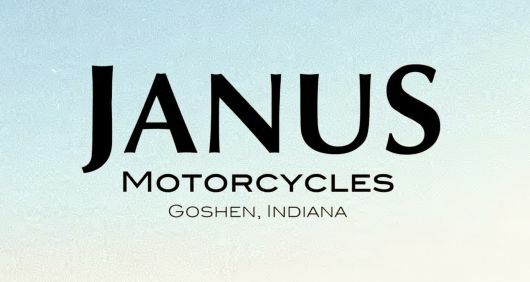 Janus Motorcycles was founded around the belief that smaller, lightweight motorcycles with an emphasis on hand-crafted design and quality don’t have to be a thing of the past, or leak oil. 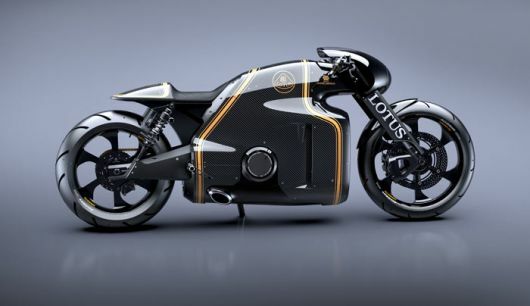 Lotus Motorcycles is a joint project of Kodewa, car designer Daniel Simon and the Holzer Group. 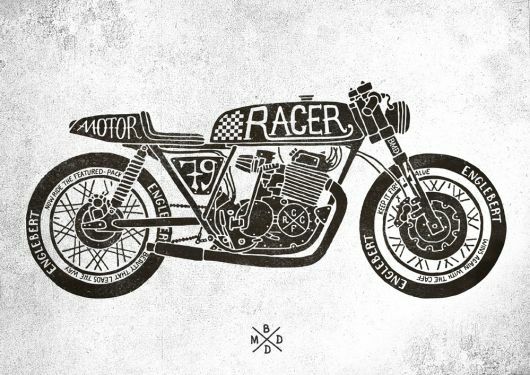 Bandit9 is a custom motorcycle design shop based in Beijing China. 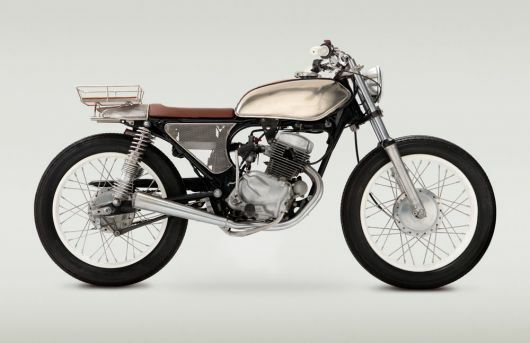 Classified Moto built this cafe racer off a 1978 Honda for producer Christina Cairo. Smart will launch the escooter on the market in 2014. For smart, this is the next logical step in implementing its comprehensive concept for future urban mobility. 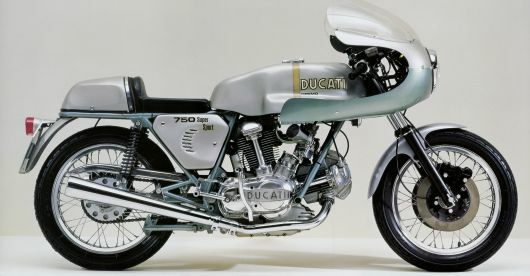 On April 18, 2012, Audi AG announced that is acquiring from Investindustrial Group the tradition-steeped Italian sports motorcycle manufacturer Ducati Motor Holding S.p.A., which has its registered office in Bologna. 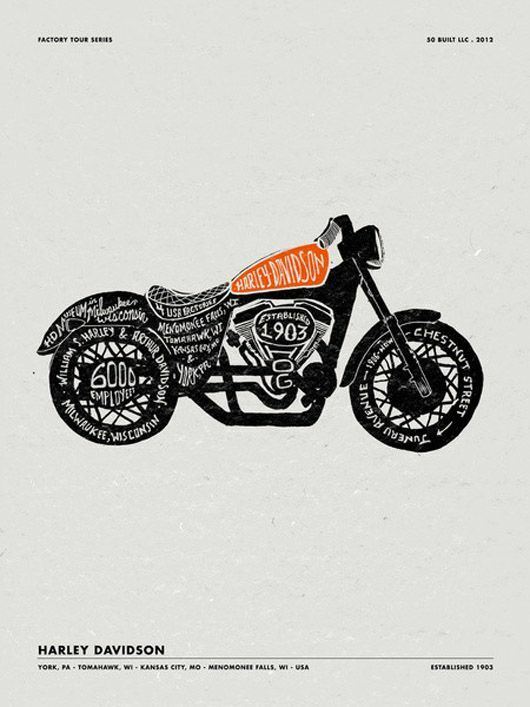 Motorcycles and The American Way 2017 from Confederate Motors, Inc. on Vimeo. A homage to all craftspeople who spend their winters tucked inside their workshops waiting for better weather. Nick Eterovic is a car designer with Ford and a proud petrol head who loves to be working on a project. Nick has produced two competition winning bikes in the last couple of years, and is always thinking about the next project to approach. JT Nesbitt, a world-renowned motorcycle designer hopes to build three prototypes of the most impressive motorcycle he could imagine. Exploratory commercial for Buell Motorcycles shot by Anders Uhl. Sadly, the company is now gone. Buell from Carlos Segura on Vimeo. This is just one of many handmade posters by BMD Design. This 18" x 24" gallery quality Giclée print is available from 50Built for $35.